On 23rd of September, Ralum's CEO attended the awards ceremony for the Red Herring Asia 2017 competition in Manila. 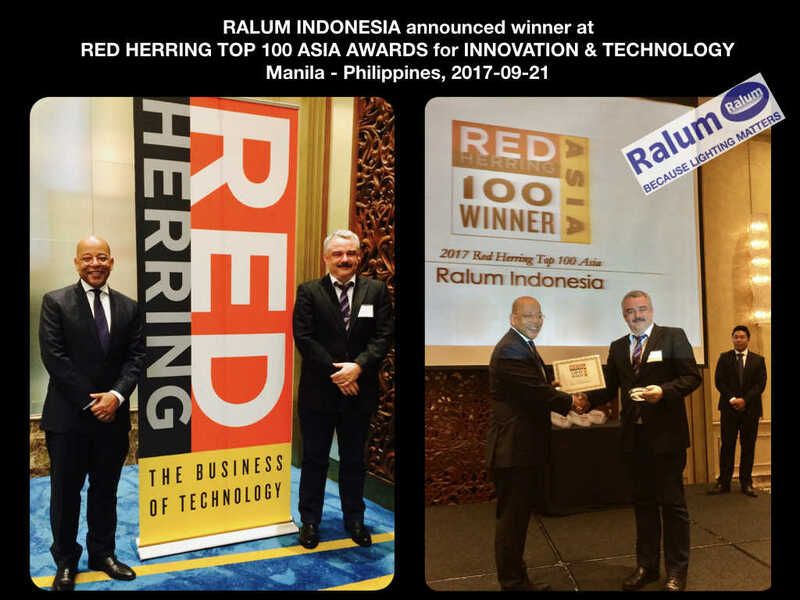 On this spectacular occasion Ralum is proud to receive the 2017 Red Herring Top 100 Asia Awards. We are honored to be recognized for the creativity, innovation drive and hard work that we put into driving foward our mission of "bringing good lighting to the people". We thank our loyal clients, supporters, stakeholders and our team that works hard to keep us going towards a new horizon!!! Set to grow strong in unique human centric lighting solutions.